Target Earth is also great tho. I really liked Target Earth so can't wait to jam this. Never jammed Post Society either tbh. Post Society is awesome as well. Everything they're doing is, really. Target Earth is great, but the production never really clicked with me for some reason. I prefer this and possibly even Post Society over it. Anyone who hasn't heard the latter should check it out, fantastic EP. And indeed they do put on a great show. ^^I agree about the superior production of The Wake over Target Earth, and to a lesser extent Post Society, especially in how Snake's vocals are echoed. It's the arrangements that feel relatively sub-par to the band's legacy prog rock material, but that's merely my subjective assessment. 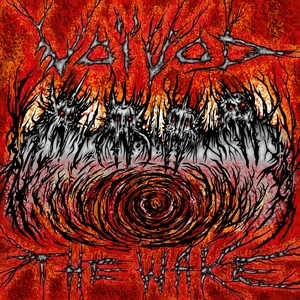 Why Voivod, I'm a little surprised by your rating for this. ^^Well, my soundoff explains it as briefly as possible, I'll probably end up liking the album more in the future , but right now, something is keeping the pleasure at bay.